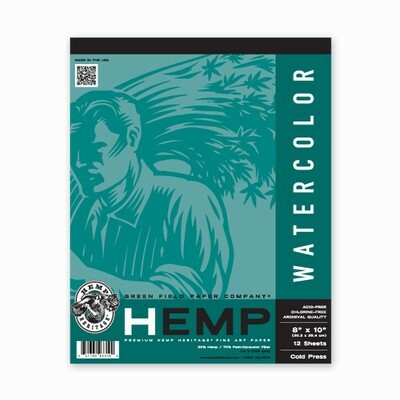 Our extra heavy 110#(300 gsm) Hemp Heritage® watercolor paper is now available in pads! This 8" x 10" pad is tapebound and contains 12 cold press sheets. This paper is a purer white than our Watercolor Art Pack. As always, it is acid-free, chlorine-free and archival quality.